22 Jul Danger! 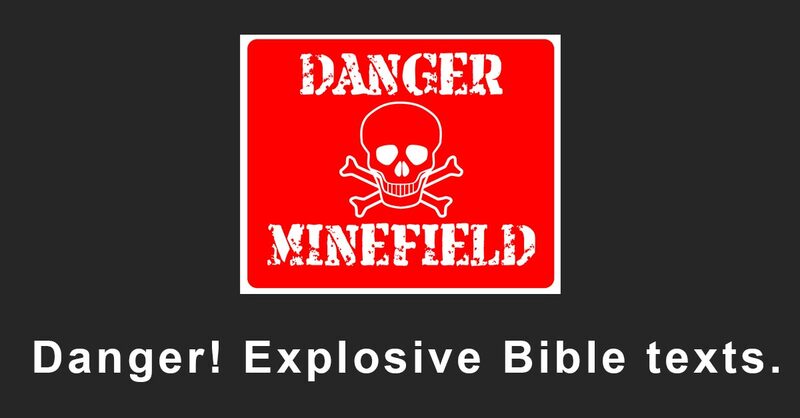 Explosive Bible Texts. To some people, the Bible is minefield of words that can explode, destroying cherished but bogus theology. Theological engineers disarm the most dangerous words by redefining them. For example; “I am coming soon,” has been re-engineered to mean, “I won’t come for several thousand years, but when I do come, I’ll come quickly”. “Last days” is another dangerous phrase. To disarm it, the engineers tell us that we’ve been in the “last days” for two thousand years! That is nonsense… think for yourself… Do you really believe that we’ve been in the “last hour” (1 John 2:18) for the last 15,000,000 hours? Some dangerous mines must be avoided. Theological engineers really don’t want to talk about Revelation Chapter 1. It states that the book reveals events that “must shortly take place.” (Rev. 1: 1) Also, they are very uncomfortable with Jesus’ clear statements to the effect that he would be returning to reward and punish before all of his disciples had “tasted death” (Matt. 16: 27,28). He said that He would be coming again “before that generation passed away” (Matt. 24: 34). Very few sermons or Bible studies deal with these passages, so unless you actually read your Bible, you aren’t likely to encounter these explosive ideas in most of our churches. 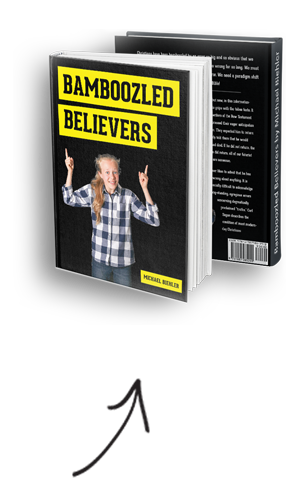 If you would like to learn more about these dangerous texts, don’t call the bomb disposal squad… read Bamboozled Believers. But be careful… before you order the book, maybe you should sample it by reading an essay that analyzes the two verses quoted at the top of this page. You can download it here. Those two verses contain big, explosive truths…truths that will soon shake your windows and rattle your walls. Dare to investigate… but watch your step!